Michael Milanovic has worked in English Language learning and assessment since 1977. He holds a PhD in Applied Linguistics, and has over 30 years’ academic, practical and managerial experience in this field. He has led major projects in collaboration with government departments around the world, and has also worked closely with the Council of Europe on its Common European Framework of Reference and with European Commission on a number of projects.. 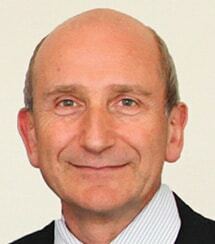 He joined Cambridge English Language Assessment in 1989, and was CEO from 2003 until his retirement in 2014. He founded Association of Language Testers in Europe (ALTE) in 1991, Studies in Language Testing with Cyril Weir from 1994 until 2014 and The English Profile series with Nick Saville His personal expertise encompasses qualitative and quantitative research, management, strategic leadership and the development of rigorous quality assurance systems and has served on the board of the International Research Foundation (TiRF) and the Automated Language Teaching and Assessment Institute (University of Cambridge). Since retiring he has taken on roles including Senior Advisor to the National Educational Examinations Authority in China, to the Cambridge Malaysia Education Development Trust and to the Malaysian Ministry of Education. He is also a visiting professor at CRELLA, University of Bedfordshire.